Hello, thank you for visiting ! 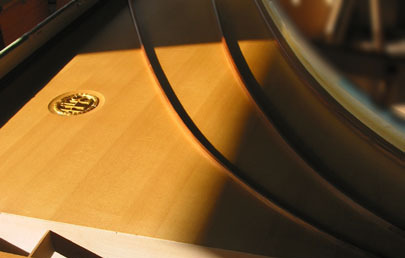 Be warmly welcome in the tiny world of craftmanship and instrument making. Do leave for a while your busy environment and the stress of modern life, to appreciate a moment of great privilege in my workshop in Mannens (Fribourg, Switzerland). You will smell so many different wood senteurs, such as cypress, ebony, walnut, cherry… as well as linseed oil, paint and so much more. Your eyes will be delighted with the multitude of pigment colours: Ochre, ultramarine blue, cadmium reds, etc. Anyway, my workshop is a place of exception, which you will rarely experience in your life. But most of all, your entire being will vibrate along with the strings, as your finger tips will press down the smooth ebony keys. 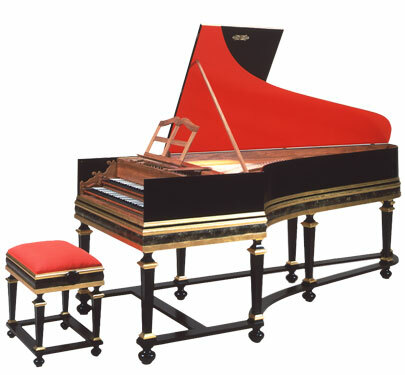 The rich sound palette of the harpsichord, this most appreciated instrument that inspired great masters such as J. S. Bach, F. Couperin or again J-Ph. Rameau, will bring you tremendous well-being and take away your hart for evermore! My principal aim is to perpetuate a great art by giving birth to new instruments which will soon rejoice many musicians and music lovers in the coming generations! 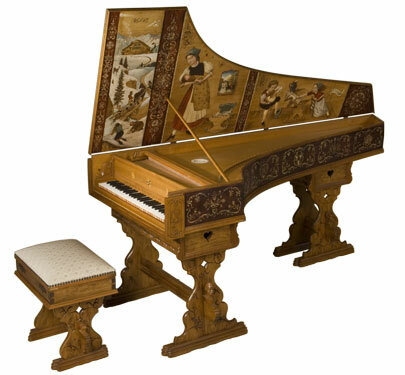 Discover one of the most amazing projects around a harpsichords’ collection. At last! Music lovers longing after a good instrument for less money will be pleased ! Get to know our new project in state of realization and receive regular information by suscribing to our newsletter ! (4x a year). Several aspects are being thoroughly worked out to meet your needs !